Emagineered Solutions® — the proud creators of THE SHOOTER®. In 1977 the US saw its first demonstration of the Cured-In-Place Technology and Steve Waring, founder of Emagineered Solutions®, was there on site. In the following years, after continuing work in the CIPP industry, Steve radically altered the trenchless business when he invented and patented the first continuous air inversion machine THE SHOOTER®. By having a continuous inversion, liner insertions were no longer limited in length, as they still are with canister style machines. Runs of over 400 feet became possible, increasing job site efficiency and speed, as well as reducing installation costs and crew size. With its extremely mobile design, THE SHOOTER® has become a popular trenchless tool in an ever growing global market for rehabilitating underground infrastructure. By using trenchless technology in general, and THE SHOOTER® inversion machine in particular, contractors will have the confidence to bid for and perform municipal underground repairs while increasing on the job profits and efficiency. Emagineered Solutions® continues to improve an already successful machine by modernizing THE SHOOTER® with onboard lubrication, an anti-deflation valve, and a completely redesigned cart. Incredibly mobile and built to last, THE SHOOTER® will continue to be the choice for efficient rehabilitation of sanitary lines both here and abroad for many years to come. Steve has nearly 40 years of extensive experience in remedial waterstops and trenchless pipe repair technologies. He invented THE SHOOTER®, which led to a modernization in the cured-in-place-pipe (CIPP) industry. His work has led to the development of the state-of-the-art proprietary method and preferred product for waterstop monolith joint remediation. 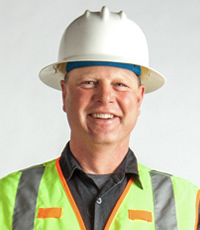 Steve is a graduate of Oregon State University in civil engineering. 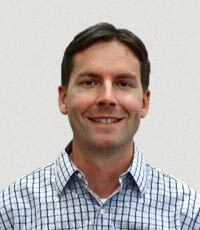 Grant has over 15 years of experience in heavy construction, design, and project management. He is responsible for estimating, customer service, and management of projects in the central and eastern US, Canada, and international markets. 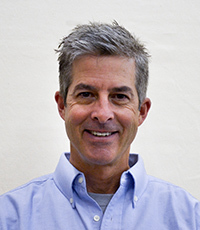 Grant is a Civil Engineering graduate from the University of California at Berkeley, and holds a Masters degree in Construction Management from Stanford University..
Ross brings over 25 years of experience in varied construction and project management. He is responsible for management and supervision of project contract performance, product manufacturing control and overall plant operations. Ross is a graduate from Oregon State University in Business Administration and Animal Science. 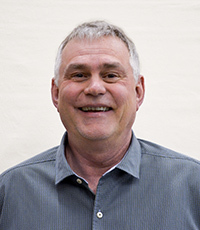 Ray brings over 25 years in customer service and management from Oregon and Alaska. He manages production, marketing, and sales of THE SHOOTER®, and attended both Oregon State University and East Carolina University in Bachelor’s and Master’s programs in English.